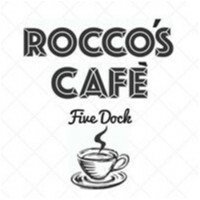 Rocco's Cafe joined our Mission to help provide access to “Clean Water for All by 2030”. This Mission was initiated by the United Nations. A big thank you to Rocco's Cafe’s team and customers for joining this extremely important mission on 04 March 2018. "5 stars based on this visit, and here's why: friendly service and proactive service; good coffee - nice balance, milk frothed just right (no bubbles); delicious strawberry crepes - nice and fluffy with generous portion of strawberries and lashings of maple syrup and a big scoop of gelato (we picked the salted caramel, it was yummy). Will visit again if we're in the area."